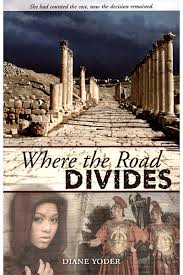 In second century A.D. Smyrna, seventeen-year-old Laurentia lives during a fearful era for followers of Christ. Wanting a happy and safe life, she resists her family’s urging to choose the narrow road of Christianity, looking instead for another path. Join Laurentia as she decides what her eternal inheritance will be.